-Prep & Prime Skin by MAC Cosmetics, around $50. This base is an ultra-fluid lotion formulated with special-effect silicones. It calms & soothes the skin, blots away excess oil, & evens out skin redness. This product is the perfect thickness for a base & once applied, nearly all of my products apply a lot more smoothly & seem to blend better as well. You only need to pump the smallest amount of this into the palm of your hand to cover the face. The only thing I'd change about this product is the size of the container although in saying that it does last a rather long time. -The Godmother Soap by Lush (not pictured), $7.50 for 100g. Imagine you're walking into a Lush store, imagine yourself gravitating towards a raspberry red soap with flecks of purple glitter in it. That is how you will find The Godmother. The scent is very much like their popular Snow Fairy Shower Gel & it is very sweet, cotton candy-esque. It's definitely one of my favourite Lush soaps. 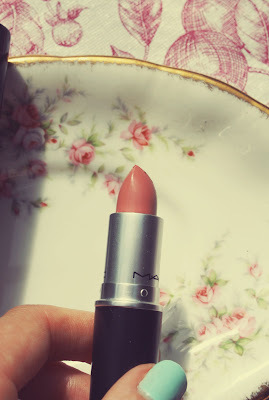 -Creme Cup by MAC Cosmetics, $40. This is my current go-to shade. The colour is a pale pink which flatters paler complexions perfectly. I like to wear this during the daytime, particularly to classes. 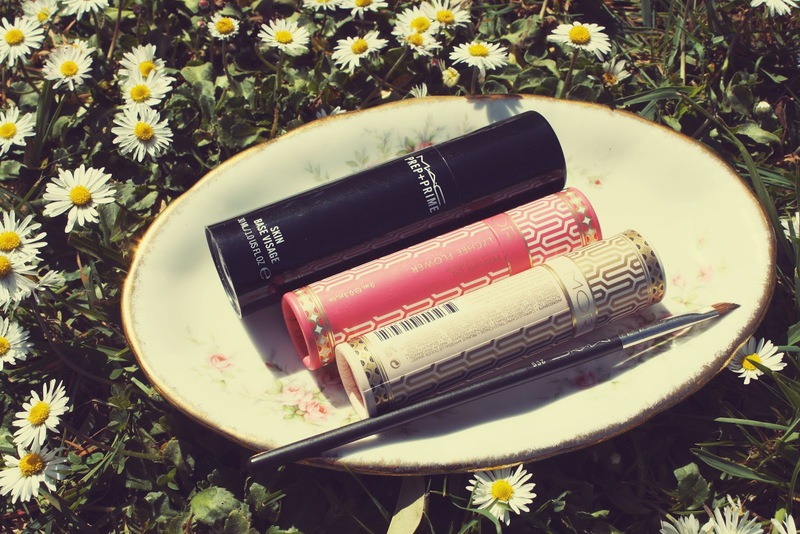 Creme Cup is also part of MAC's Cremesheen collection so it won't feel as drying on your lips. Some of the colours from the Naked 2 Palette. Satin Taupe & a 266 brush. 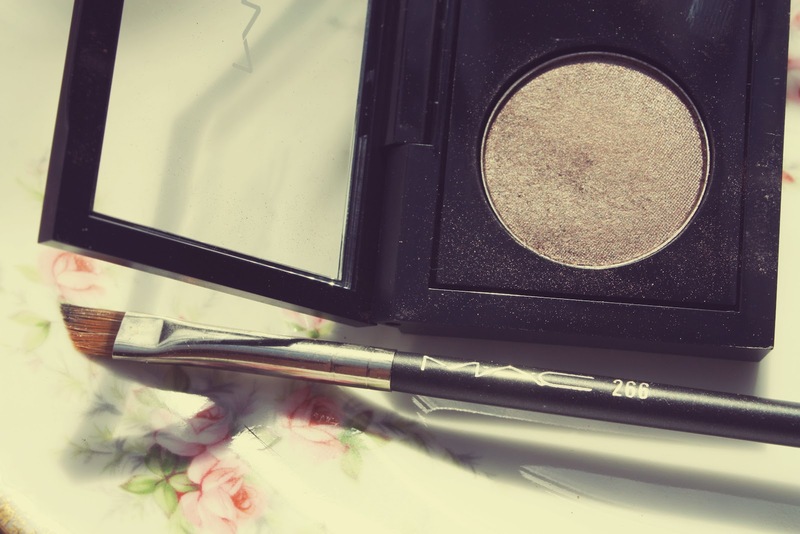 -Small Angle Brush #266 by MAC Cosmetics, purchased overseas. I use this to apply the two liners in my Chanel compact as well as any of my eyeshadows that I usually line my lower lid with. This brush creates sharp, precise lines. You'll hardly ever ruin your eyeliner using this brush. It's amazing. -Naked 2 Palette by Urban Decay, around $60. The Naked palettes are regarded as the go-to palettes among the Beauty Blog & Vlog circles alike. Each palette contains 12 shadows, all of which are perfect neutral colours. All the shadows are matte or shimmer eyeshadows. Don't let the shimmer put you off though, it is very subtle. 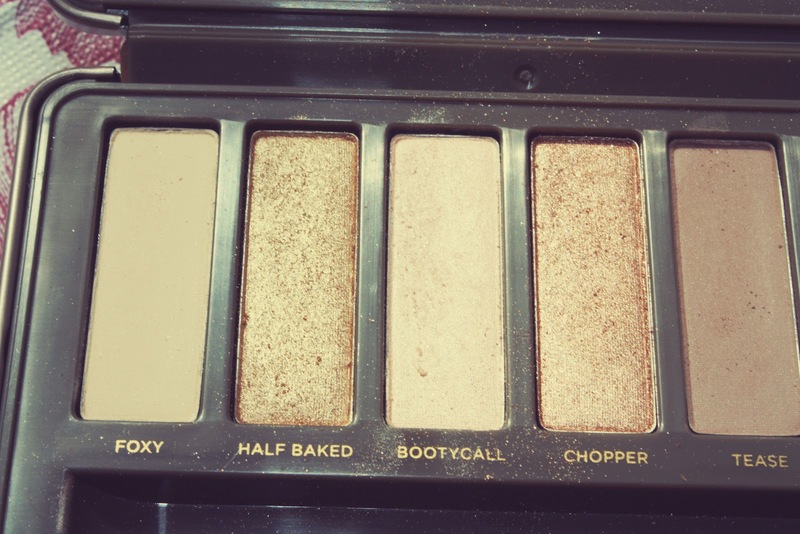 I love this palette & use it most days. 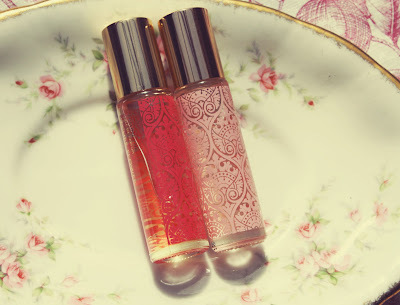 The colours I've used are all easily wearable by themselves or blended with other colours. My favourite colours are probably Bootycall which I use in the inner corner of my eye & then YDK which is gorgeous swept across the lid over the other neutral shades. The palette also comes with a shadow & crease brush which is perfect for applying & blending the shadows. 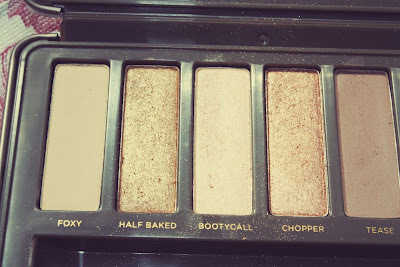 After trying this palette I really want to look at the Naked 1 palette & more of Urban Decay's eyeshadows. -Satin Taupe Eyeshadow by MAC Cosmetics, $38. When I'm not using the Naked palette, you can almost guarantee I'll be using this shadow instead. Satin Taupe is a gorgeous cool toned shadow with added shimmer. Again it looks gorgeous as a neutral shade swept across the lid or blended with colours like YDK. There are so many ways this shadow can be worn & it suits a wide range of skin tones as well. -Lychee Flower & Marshmallow Perfume Oils by MOR Cosmetics, $25 each. Use either one of these & you'll be left feeling extra glamorous, I promise. *Do you use any of these products? Comment below & let me know your thoughts on them. 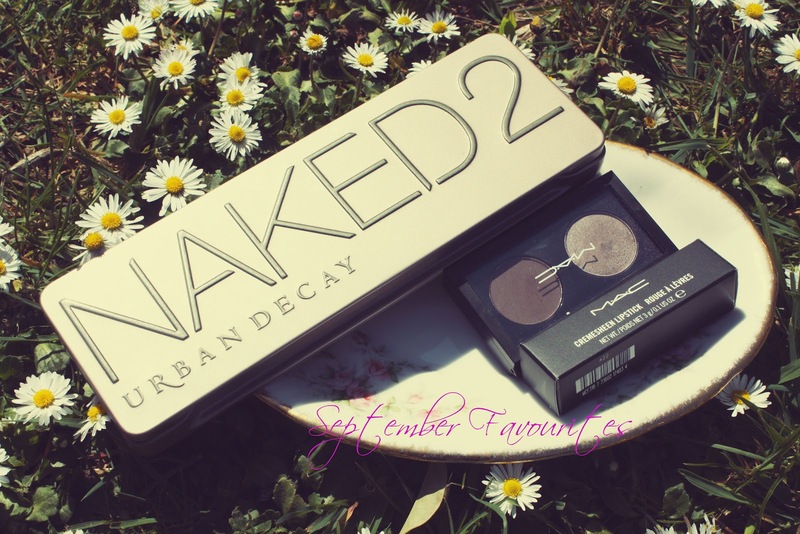 -Naked 2 Palettes can be found on Beauty Bay. Shipping is free & the best time to buy is when you have a discount code.